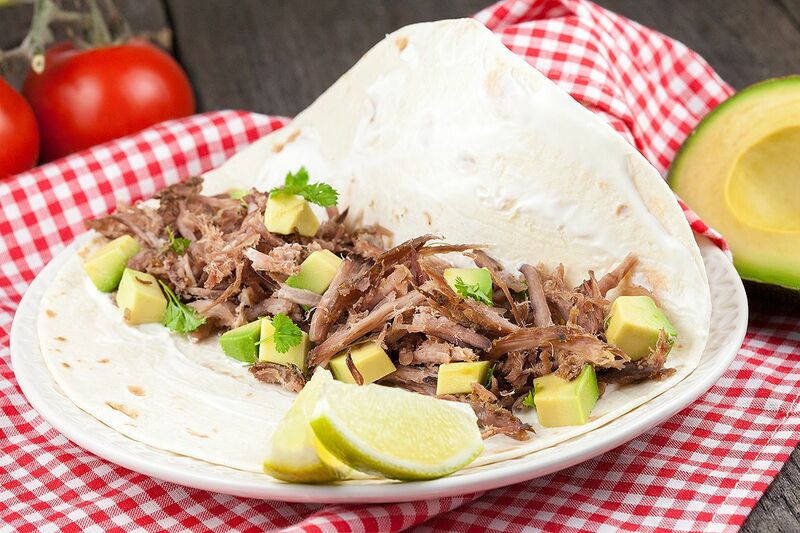 Slow cooker pork carnitas are a Mexican speciality that means 'little meats' and is similar to pulled pork. Served on a tortilla with avocado and lime. First create a dry rub with dried oregano, ground chili, ground cumin, pepper and salt. RUB the piece of pork with the spice mixture on all sides. 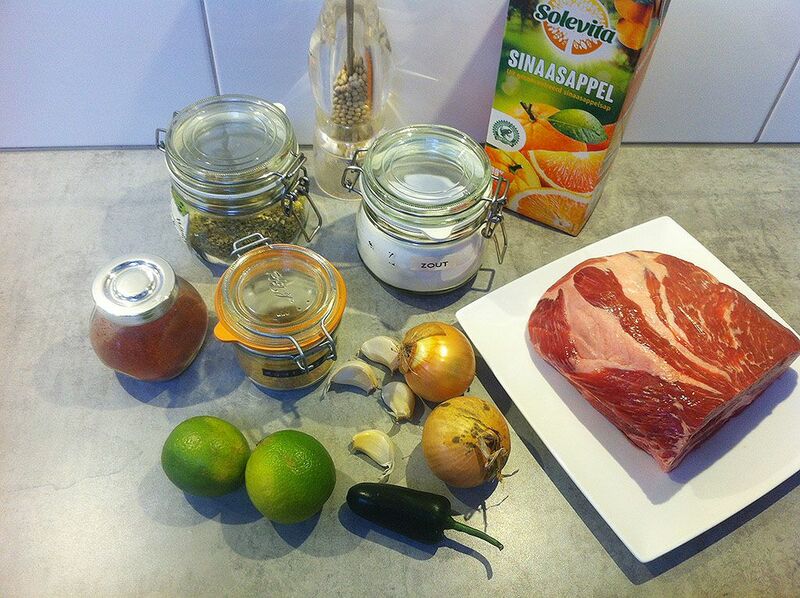 PLACE the piece of pork into the slow cooker, squeeze the juice from the lime and orange if you used fresh ones. Also add the leftover limes and oranges into the slow cooker. PEEL and finely chop the onions and garlic cloves. REMOVE the jalapeno pepper seeds and chop the pepper as fine as you can. ADD the chopped onion, garlic and jalapeno to the slow cooker and set to medium heat for about 5 hours. Halfway you can turn the piece of meat so it cooks evenly. 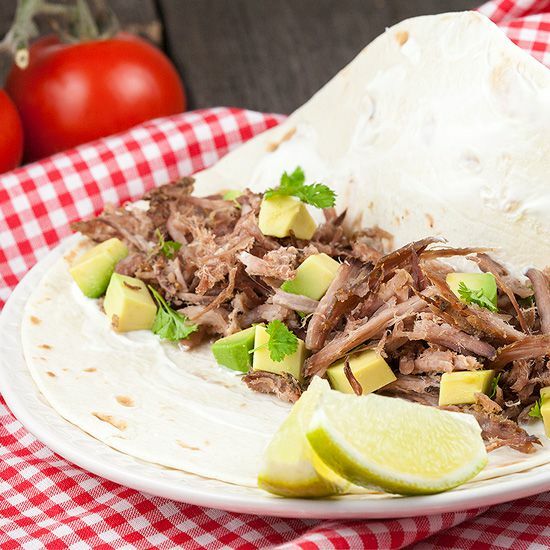 Get the piece of pork out of the slow cooker and use a fork to TEAR the meat into thin strips to create ‘pulled pork‘. TRANSFER the pieces of meat to the oven tray lined with parchment paper. Depending on the size of the oven tray it’s best to do this in batches. Use the grill setting of your oven to create crispy pork, it only has to be in the oven for about 5 minutes because only one side needs to be a bit crispy. You can also get the crispy outside by shortly frying them in a skillet. 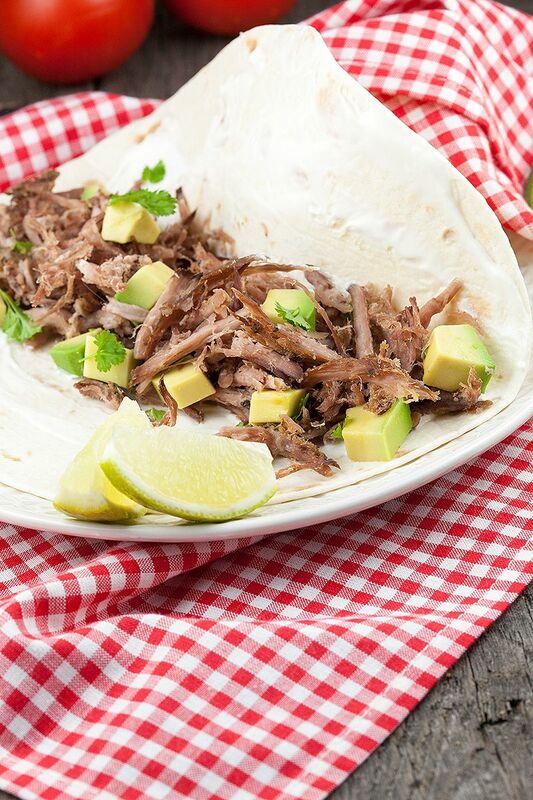 You can now use the carnitas, little meats, as a filling for tortillas like we did with pieces of avocado and drizzle some lime juice on top to keep it simple. You can also serve them with cilantro, guacamole, tomato, onion and beans.